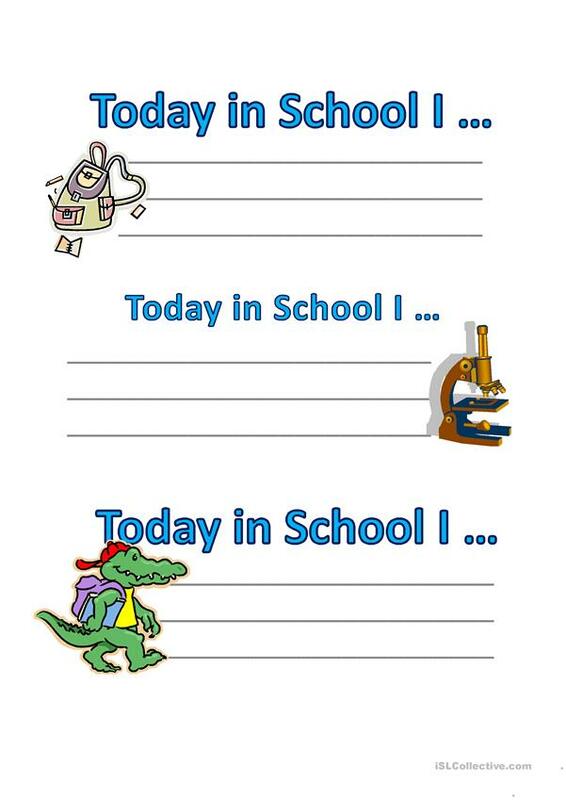 This is a sheet I created to help students remember what they did in class. It is a great way for them to share with others when asked. This downloadable handout was created for elementary school students and kindergartners and nursery school students at Beginner (pre-A1), Elementary (A1) and Pre-intermediate (A2) level. It is useful for enhancing your groups' Writing skills. It is focused on the theme of Daily routines. mslev is from/lives in United States and has been a member of iSLCollective since 2013-02-20 16:58:14. mslev last logged in on 2016-02-11 15:13:00, and has shared 3 resources on iSLCollective so far.